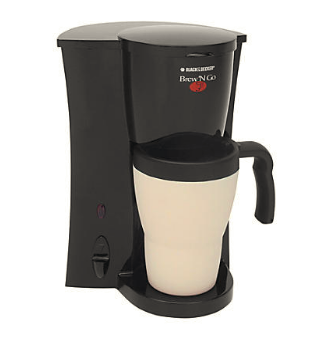 Coffee is brewed directly into a stainless steel travel mug making it ideal for on-the-go. Plus its small size makes it easy to fit in a small space. Boom self game changer! These portable fans provide a cooling breeze while also giving you (and you friends) the ideal selfie. 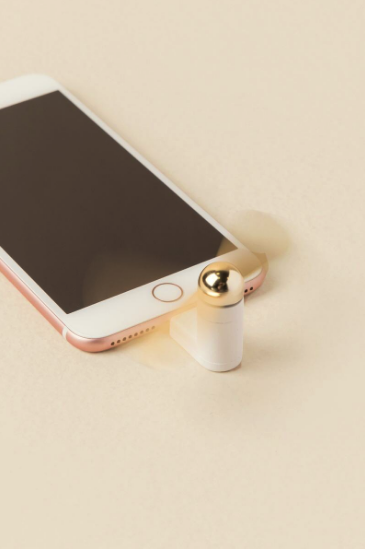 Simply, plug it into your iPhones charging port. 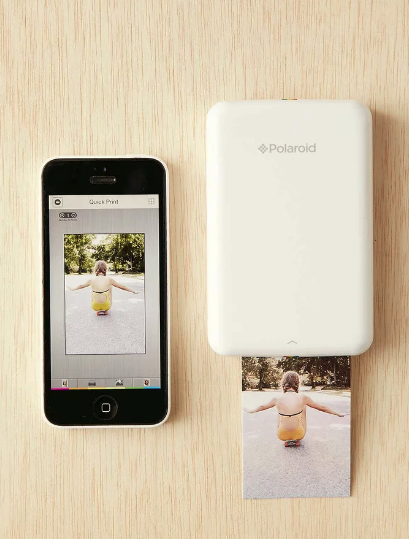 Instantly print your photos straight from your iPhone (or Android). Photos are printed in full color with a peel and stick back so you can stick them on your dorm door, folders or share with friends. 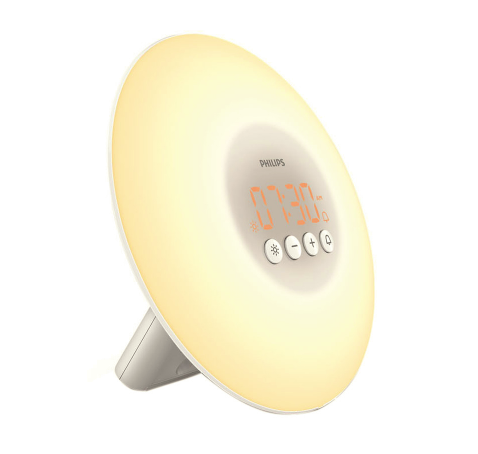 Inspired by nature’s sunrise, the Philips Wake-up Light uses a unique combination of light and sound to wake you in a more natural way, so you feel more awake and ready to go in the morning. Perfect for when you have an early morning class or need to make sure you wake up for the pre-grame. 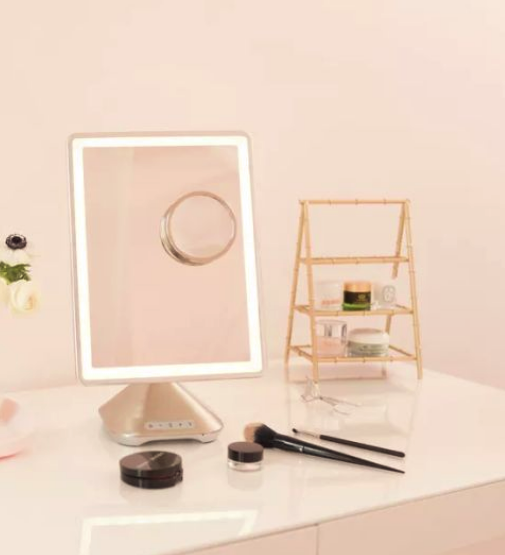 See yourself more smartly with this vanity mirror featuring a built-in speaker, full-spectrum color lighting , USB charging AND Siri and Google home voice assistant. You can gab, listen to music and find out the weather all while getting ready. 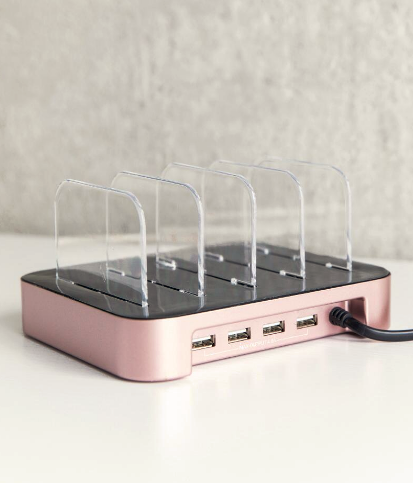 Charge up to 4 devices in this cute charging station. Now you don’t have to scramble for extra cables and outlets when friends come over. Keep your smelling clean and fresh with an air purifier. 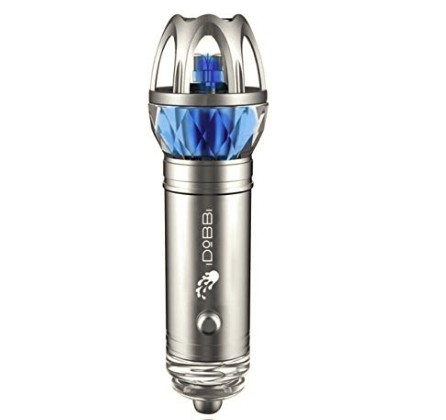 This one easily plugs into your car and eliminates all smells and odors. 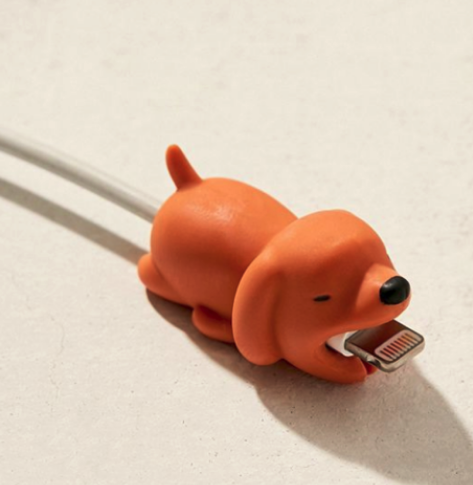 Never worry about charging your back up charger for your phone. 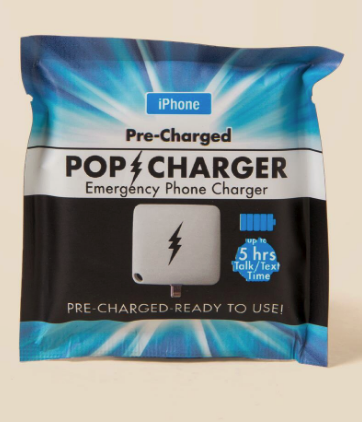 This small, easy to carry charger gives you 5 extra hours of battery life and once its down, recycle it and never think about it again.